An auto transport company can be used to move your car so save you the time, money and mileage of driving it yourself. There are many different types of auto transport trucks to choose from, depending on your needs. There are two main types of car transport trucks that can be used, tractor trailers and hot shot trucks, or single truck trailers. A hot shot truck (single truck trailer) is used in the instance where only one car is being shipped, because it is a small truck that cannot carry more than this. The great thing about using a small vehicle like a hot shot is they are able to get into places that may not be accessible by larger trucks. So when would you be using a single truck trailer for vehicle transport? In general, the types of people requesting this service from a car shipping company are those who own a vintage or collector car that requires extra care. In these situations, even the smallest scratch can cause extreme expense, so a single truck trailer may be a better option. Of course, when you use a small transport truck it can be expensive because the expense is not shared across by multiple people shipping vehicles, although it can be more convenient for your trip. If you want to save money on car shipping rates, it's a good idea to find a company that will move multiple vehicles at the same time. The car shipping company can split the cost of the driver and the fuel between all the vehicles on the truck which makes using a transport truck much more cost effective. If you own a vintage or collector car, you will want to make sure that everything arrives in perfect condition, and so you will probably be wanting to get a car carrier who can offer enclosed auto transport, so that your pride and joy is fully protected from the elements and the other damage that can occur on the road. Open carrier transport is very common, and shipping this way can save you a great deal of money. Your car may not be as well protected as it could be with enclosed auto transport, but damage is very rare. Most car dealerships use this form of transportation, as you will see semi-trucks carrying new cars on the highway often. Consumers can save with open auto transport service by sharing the cost of the vehicle with other customers who are shipping at the same time, to a nearby destination. 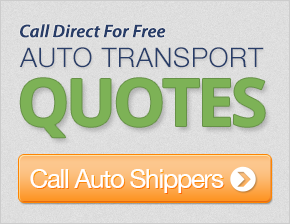 Its a good idea to compare auto shipping quotes from multiple transport truck companies when you are looking at moving your car to find out what sort of service they can offer you and if it will meet your budget. Of course, one thing that is good to know about all this, is that you wont really have to make the decision about which type of transport truck you will be using instead, the vehicle transport company will be able to guide you towards what is best for your particular situation, for your vehicle and in addition, for the most cost effective way to move your car. Having this knowledge of different types of mover will make it easier for you to understand quotes for moving.